4/20 — also known as “weed day”— regularly draws crowds to Parliament Hill, where puffs of skunky smoke and weed-filled edibles mix with demands for the legalization of marijuana, easier access for medical use, and education to debunk the stigma of using the drug. Given Prime Minister Justin Trudeau’s campaign promises this past year, this crowd is expecting big changes. But it was the Conservatives who first expanded the sale of medical marijuana to the private sector. Back then, writer Ron Corbett looked at the issues, including the job opportunities and outcries from doctors and medical marijuana users, in his article Seeds of Change (Oct. 2014). I’m walking down rows of marijuana plants with Chuck Rifici, chief executive officer of Tweed, a start-up medical marijuana company in Smiths Falls. In the past, walking between rows of marijuana plants would have meant I was conducting an interview with a cop or a biker or a surprised farmer. Today I am interviewing someone who reminds me of Ralph Malph from the old television show Happy Days. If there is anyone on the planet who seems less like a pot dealer than Rifici, it is difficult to imagine (Mary Poppins?). As we stroll past the plants, Rifici explains how he became a pot salesman. “I was what you call a CFO for hire,” he says, straightening his eyeglasses. “That means I worked on a contract basis for companies that needed an interim chief financial officer.” Rifici has an engineering degree from the University of Ottawa, as well as an MBA from Queen’s University. Oh, and he’s also certified as a management accountant. Apparently, these credentials make him perfect for running one of the country’s largest legal grow-ops. Rifici is a self-described “public policy geek,” so it wasn’t all that strange, his surfing around a government website. Nor was he slow to pick up on the importance of the Health Canada notice even though it popped up with all the fanfare of a day-old press release. He did some research and quickly confirmed his suspicions. The rules governing medical marijuana in Canada were about to undergo a fundamental change. From only one commercial grower being allowed to sell medical marijuana in Canada, the federal government was about to allow as many companies as the market would bear. The hodgepodge collection of basement growers and charitable compassion societies was about to be swept aside. Doctors would soon be writing marijuana prescriptions, and people would be buying pot only from private-sector companies. Rifici is practically bouncing on his feet now, nearing the high point of his story. He pauses in front of a particularly healthy-looking marijuana plant — rows of them, actually, like some old centrefold from High Times magazine — to deliver the punchline. Just wild. 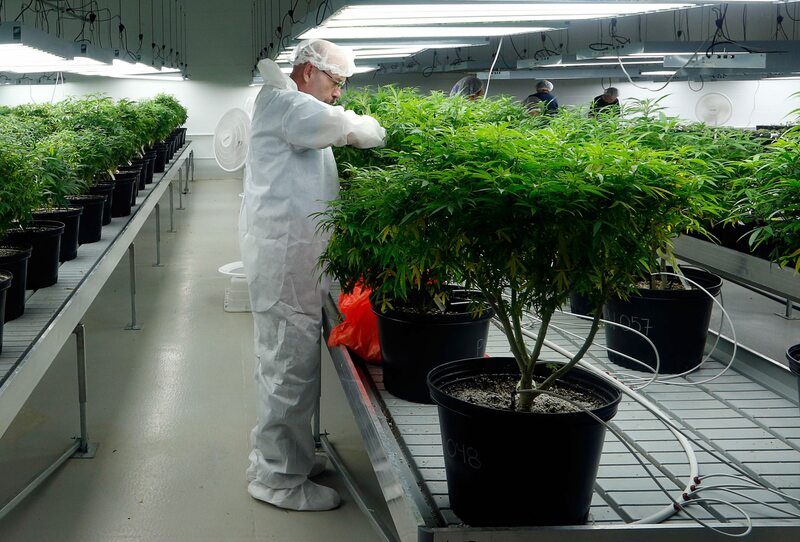 Those words have often been used to describe good, strong marijuana — the kind Tweed grows in the old Hershey’s factory in Smiths Falls — although it seems unlikely they have ever been used to describe the plant’s captive-market-optimization upside. The history of medical marijuana goes back thousands of years. The ancient Greeks rubbed marijuana leaves on their horses when the animals were lame and used a cannabis compound to treat nosebleeds. For more than a millennium, Arabic physicians used cannabis compounds as treatment for a wide range of ailments, ending the practice only in the late 1700s. In Western cultures, the person to pioneer the concept of medical marijuana was William O’Shaughnessy, an Irish doctor employed by the British East India Company. While posted in Kolkata in the 1830s, O’Shaughnessy saw local physicians using the leaves and seeds of a hemp plant as medication. Intrigued, he began experimenting with the plant back in his laboratory. It was no easy task. 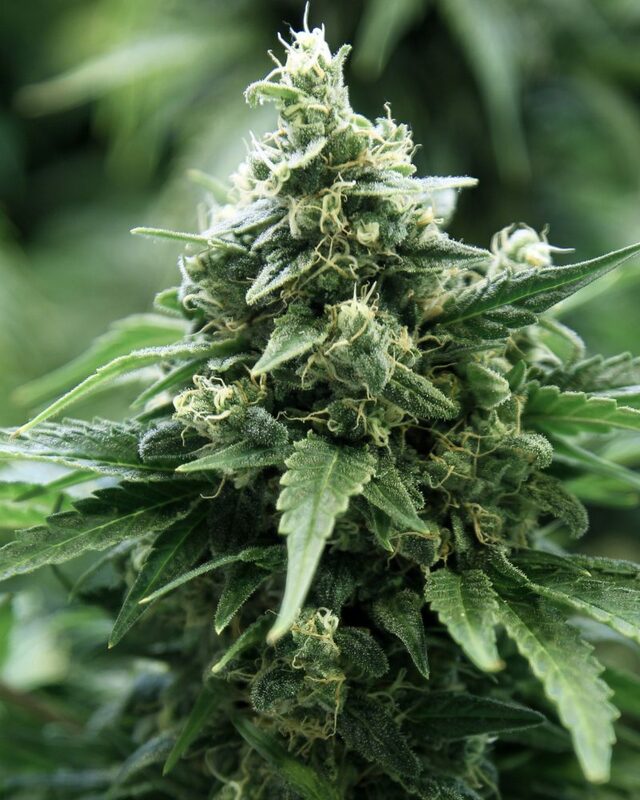 The Cannabis sativa plant, as marijuana is properly called, has more than 400 active chemicals, of which 80 are unique. These unique chemicals are called cannabinoids, and the most active and prevalent of them is delta-9- tetrahydrocannabinol, better known as THC. All cannabinoids are difficult to isolate from other chemicals, yet by the time O’Shaughnessy returned to England, he was convinced that cannabis could cure everything from tetanus to rabies. For his marijuana research, he was made a Fellow of the Royal Society and Queen Victoria knighted him in 1856. Despite O’Shaughnessy’s initial success, his research was never widely accepted, and he died in obscurity in 1889. Not until the middle of the 20th century did Western doctors begin looking again at possible medical uses for cannabis. Since then, studies have shown possible medical benefits for everything from Parkinson’s to glaucoma, although the most commonly cited benefits are for people suffering chronic pain, various muscle disorders, and nausea or loss of appetite. Today more than a dozen countries allow medical marijuana, even though its recreational use is generally banned. The countries and laws range from the Netherlands, which has an almost everyone-is-welcome policy, to the United States, which still bans medical marijuana even though 23 states have approved it (and two states — Colorado and Washington — have allowed its recreational use). Health Canada granted the first medical marijuana licences in 2001, not out of any great conviction by the government that there might be something to the medical marijuana argument, but more out of a desire to stop the negative media stories that follow police busts on “marijuana compassion societies” — often church groups and seniors with terminal illnesses. According to one prominent Ottawa doctor, that was a mistake. He has a point. Much about Cannabis sativa is still unknown. For example, it is a complex, confounding plant, and isolating the active chemical ingredients is a daunting, ongoing task. The official position of the Canadian Medical Association (CMA) and the American Medical Association is that more study is needed. Given this, and given his well-known antipathy toward cannabis, it was widely assumed that Stephen Harper would kill the medical marijuana program as soon as he had a chance. But then the strangest thing happened: instead of scrapping the system, the Conservative government decided to expand it. Decided to ignore the lack of empirical evidence, accept the anecdotal evidence, and throw open the doors to the free market so that we could have a homegrown pot industry. It was, again, just wild. Not far from the Tweed marijuana factory lives a farmer who has grown Cannabis sativa for years. Sandy Lyton (not his real name) has one of the 40,000 right-to-possess-marijuana licences Health Canada has granted since 2001. He also has a personal-use-production licence, which allows him to grow pot. He has had both licences since 2010, the year he was diagnosed with liver cancer and began chemotherapy treatment. During his treatment, someone suggested he try marijuana as a way to increase his appetite. That and the new liver he received six months later, which, although life-saving, caused new medical problems — severe pain and weight loss, as well as anxiety so bad that it increased his odds of organ rejection. Lyton, under his doctor’s supervision, continued smoking marijuana. Today he speaks almost in wonder about the efficacy of cannabis. How marijuana did exactly as promised. It did relieve his pain. It did increase his appetite. And it did lower his stress. With normal prescription drugs, Lyton says, it was “50/50 at best” whether he would notice any benefit. As for the plant itself, he can’t stop gushing — hearty and resilient, prune it back and it keeps growing wider and wider. If corn and soybeans were as stable and predictable as marijuana, Lyton says, there would never be another cash crop farmer in eastern Ontario lying awake at night worrying about his bank statements. 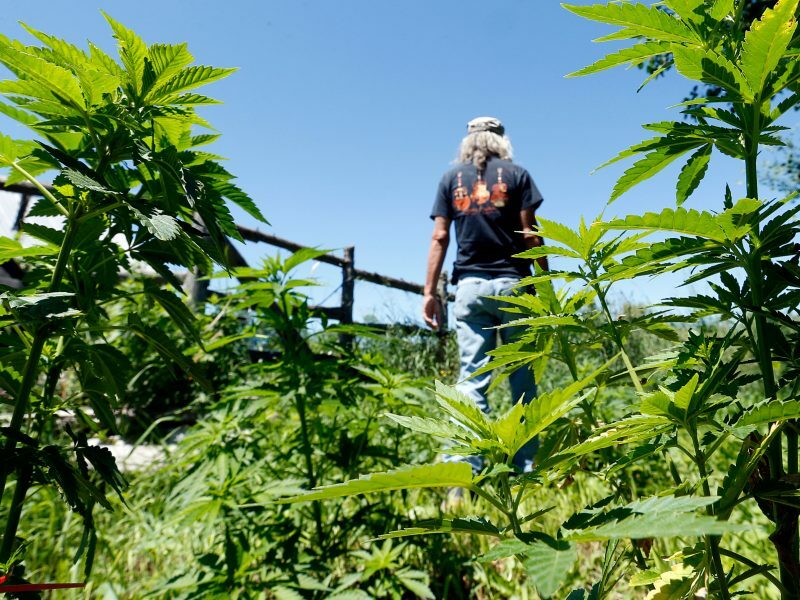 Now the federal government wants Lyton to purchase marijuana from a drug company like Tweed, to pay street prices (Tweed says its average price will work out to $8.80 per gram) for a plant he has growing right now beside his barn. As Lyton asks the question, a tone of incredulity creeps into his voice, the polite Ottawa Valley farmer trying to mask it so that he won’t sound rude, laughing at people and their decisions. Federal court judge Michael Manson didn’t go so far as to laugh at the federal government when he granted an injunction in March against implementation of key parts of Canada’s new medical marijuana rules. But he came close. And if medical marijuana users were upset, their doctors were not far behind. The CMA is bitterly opposed to the new rules and has told its members to avoid the program. Their complaint is that compared with the old system, it places much more responsibility on doctors. Previously, a doctor had only to fill out a form confirming that a patient suffered from an ailment Health Canada had identified as one that might benefit from marijuana; it was up to Health Canada to grant a licence to possess and consume the drug. Under the new system, however, a doctor must fill out a far lengthier form that includes questions about dosage and length of treatment time. But some doctors say they do not have enough information about negative side effects to fully answer the questions on this form, which the patient takes directly to a company like Tweed. And that’s crucial because it is, in effect, a marijuana prescription. Disconnect is a central theme of medical marijuana. There is even a certain disconnect — an almost pot-like spaciness — to the official Health Canada line on medical marijuana. As though questions posed to the department have been misheard or confused with other questions. Here is Health Canada’s response (as provided by a spokesperson) to written questions from Ottawa Magazine about the new medical marijuana rules. ottawa magazine: The injunction against parts of the new rules was primarily based on costs. People with existing right-to-possess licences say their drug costs will soar under the new rules. How do you respond? health canada: The regulations introduce conditions for a competitive industry, and it is possible that the prices will fall over time in response to competition and innovation. om: Why were the rules governing medical marijuana licensing and production changed? What problems in the old system are these changes meant to address? hc: The new Marihuana for Medical Purposes Regulations (MMPR) are widely considered to address core problems of the previous program and better protect public safety by putting an end to personal production of marijuana for medical purposes and making commercial licensed producers responsible for all aspects of production and distribution. om: The CMA says the new rules have forced doctors to write “prescriptions” for medical marijuana, a fundamental change from the old rules. Many doctors say they will opt out of the program because of this. Is there any chance these parts of the regulations might change in the future? hc: Under the new MMPR, the fundamental role of health providers does not change. The responsibility to assess a patient and decide on appropriate treatment continues to rest with health care practitioners. The MMPR have created a streamlined process for those seeking access to marihuana for medical purposes, eliminating the need for individuals to share health information with Health Canada administrators. om: Critics have said there was a great deal of confusion — and continues to be a great deal of confusion — over the new rules and how they are supposed to be implemented. How do you respond? hc: Since the introduction of the MMPR in June 2013, Health Canada has undertaken a number of actions to ensure individual Canadians, program participants, law enforcement, municipalities, and other stakeholders are aware of the MMPR and what these new regulations mean for them. A mail-out was sent to individuals with an interest in the program, information has been updated on the Health Canada website, and we continue to offer a toll-free call centre for any individual who has questions about the old regulations or the new MMPR. Thank you! A toll-free number and an information package — no confusion here. No disconnect. When Rifici started looking for a master grower for his new company, he advertised the position, using exactly that job title: master grower. The person who applied and got the job was Ryan Douglas, a young horticulturist from Maine who had spent most of his working life growing poinsettias for a commercial farmer near Portland. Poinsettias and marijuana are potted plants that flower. “Transferrable skills” was the phrase Douglas used to nail the job and also the phrase he used at the border. And then there’s this two-worldscolliding story from Sandy Lyton about that information package sent out by Health Canada. When Lyton read his package, he found advice on the best way to destroy a marijuana plant (before the injunction, all existing medical marijuana was to be destroyed by March 31). The best way to get rid of a pot stash, according to the federal government, was to throw it in your curbside trash after first soaking it in water and cat litter. Back at the old chocolate factory (and there are indeed numerous reminders of when this place was a Hershey’s plant, including cast-iron chocolate moulds hanging near photos of pot plants — munchie jokes are too easy), Rifici is answering questions about the rocky start to Canada’s new medical marijuana laws and doing a slightly better job of it than Health Canada. But hold on a minute. What about the CMA turning up its nose, cops confiscating the product, and this little niggling problem about whether you’re actually producing something useful? Rifici lets it wash off him like water off a duck’s back. And all the medical marijuana users who are complaining right now about sky-rocketing costs, any concerns there? As of press time, Justice Manson’s injunction was still in place, but the government is appealing the decision and no one is expecting the new rules to be scrapped. At best, there may be an exemption grandfathered in for people with existing licences. Health Canada has received approximately 1,000 applications from companies wanting to grow marijuana and has granted nearly 50. It estimates the industry will be worth $1.3 billion in 10 years, with just under half a million users (more than a tenfold increase). Dr. Dworkin is a little more critical of the new rules and the envisioned future. And yet I leave Tweed wondering if any of this matters. As I walk to my car, I cut through a parking lot that has not had vehicles in it for nearly a decade (Hershey’s ceased operations in 2007). I’ve driven by this abandoned parking lot countless times. But on this day, the lot is nearly full, with someone painting lines in a far corner, apparently getting ready to add more spaces. This ball is rolling. It won’t be stopping anytime soon.